Every killer whale in captivity is an individual with a unique story. They are intelligent, sentient beings held captive in concrete tanks. Corky was taken from her family off the coast of British Columbia when she was four years old. She has spent the last 49 years at Marineland and at Sea World performing in exchange for food. 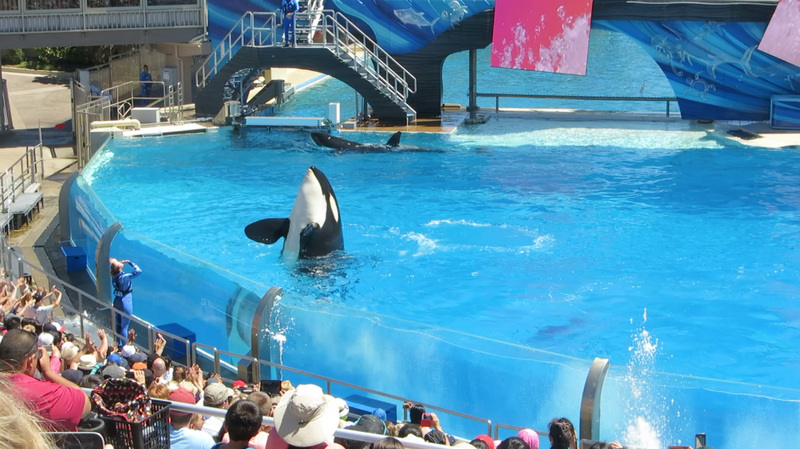 Bring Corky Home is a documentary-in-progress about her life and about our new understanding that it’s no longer appropriate to keep whales and dolphins captive. If you would like to help Corky and be part of this movement against captivity, please consider donating to this documentary project about Corky’s story. I edited this short video to help producer Christine Curoso promote her project and to get funding. The majority of the documentary has already been filmed and she needs funding for post production. The film will show Corky’s story from the time that she was captured till present – and shows the amazing movement of people that are calling for Corky to be retired in an enclosed bay off the coast of Canada where she can be taken care of for the rest of her life in a whale sanctuary. Corky’s family still lives in the region and its possible she could once again her their calls and possibly even encounter them again as the pod swims past her sanctaury. For more information about whale sanctuaries, please check out Whale Sanctuary Project.